However I keep getting the error message Cannot find the IDO schema. Please verify that the given database contains the schema and that the configured user has access to it.. Can anyone help me or point out what I am doing wrong. Browse other questions tagged icinga or ask your own question. 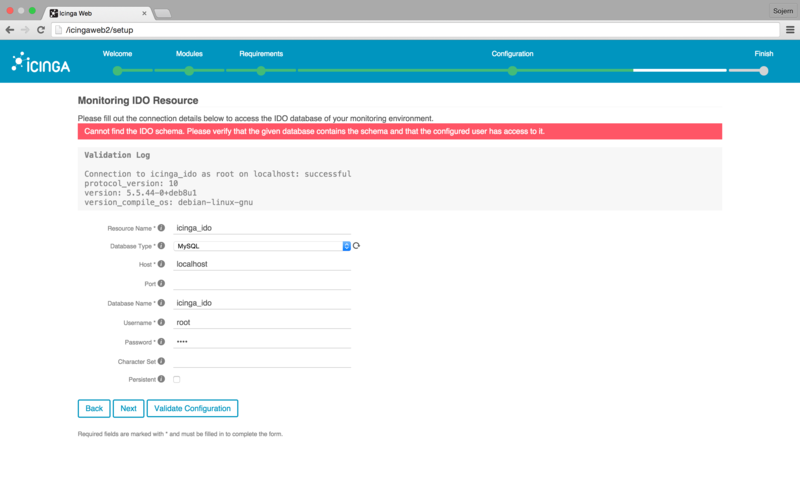 Can you run Icinga Classic Web (icinga-html) and Icinga New Web (icinga-web) at the same time on top of the same Icinga instance?